Redentore falls on the third Saturday in July and it is how Venetians celebrate the end of the plague. First, you walk over the rickety floating bridge made just for this event, crossing over the Giudecca Canal from Zattere to the Redentore Church, which is supposed to bring you good luck. Then save up Redentore energy to rock out on a boat. Yes, the experience is unforgettable. Enjoy one of the hundreds of boats with food, drinks, makeshift on-board bathrooms, and floating DJs who will have most everyone dancing and boat hopping until midnight, when the fireworks light up the lagoon—or until someone throws you overboard. Since the boats are usually private or rented by Venetians, follow me on Facebook to get the latest details on getting tickets for these boat parties (usually ready a week before). 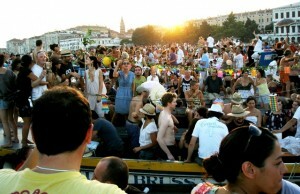 Another possible way to joing a group is to go to Zattere by 5pm and ask each boat if they have extra tickets. Tickets usually cost from €50-€80 per person. Alexandre Toesca is a fantastic DJ and also hosts his own Redentore White Party including a buffet dinner for €120 per person. 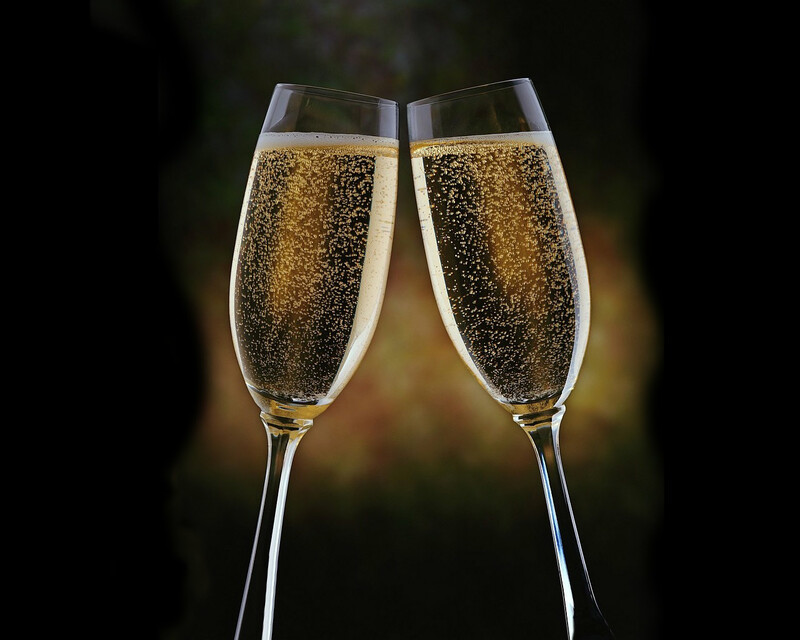 This year there will be after parties at the Palazzina Grassi by Philippe Starck (lux 5-star hotel) and the Westin Hotel Europa & Regina as well as many open-aired parties along the Giudecca canal bank. You can also dance the night away at the ex-Aurora Beach Club in Lido (click for more details). If you get seasick, then the best places to celebrate and watch the fireworks display are on Giudecca Island, which also gets very crowded, and Riva degli Schiavoni near San Marco square. See how locals get down on their floating clubs which all gather at the lagoon for the midnight fireworks display, but the fun part is partying on the boats and boat hopping! The Festa del Redentore is a tradition that dates back to 1577. It was first held to celebrate the city’s deliverance from a terrible plague, and the construction of Palladio’s “Redentore” (Redeemer) Church had been commissioned for the same reason. The Church, built on the Island of the Giudecca, can still be reached by pilgrims during the festival by means of an impressive 330-metre-long pontoon bridge. The “Redentore” celebrations include a solemn religious service and a procession presided over by the patriarch of the city. 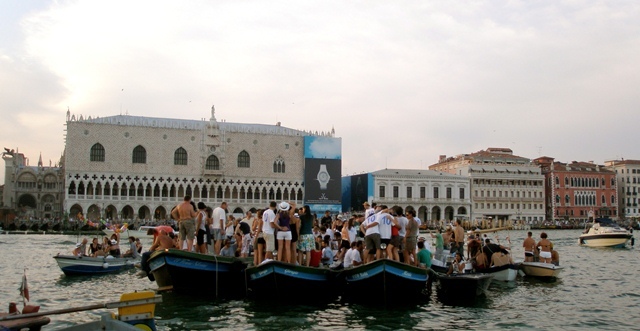 The weekend is also filled with a series of gondola races, organized as part of the “Voga alla Veneta”. The event begins on the Saturday, with the opening of the Pontoon bridge that links the Zattere with the Guidecca Island. At 11.30 pm, begins the firework display in the bay of San Marco. Then, the boats carrying the revelers make their way through the canals of Venice, before re-gathering at dawn at the Lido to await sunrise. 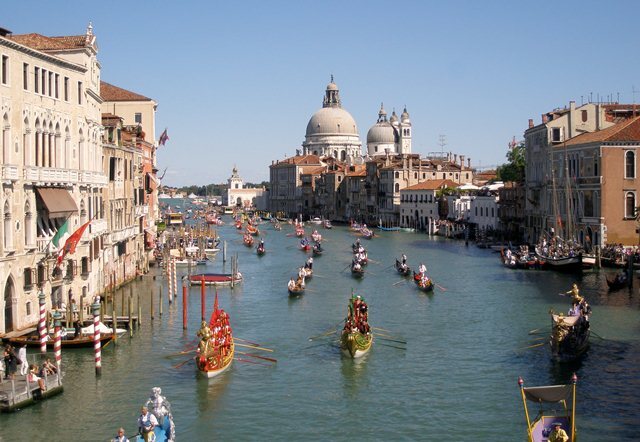 On Sunday afternoon, their is a regatta of young rowers in the Guidecca canal, followed by a regatta for seniors, and ending with a gondola regatta at 5.30 pm. At 7 pm, Holy Mass is celebrated in the Redentore church of Guidecca. 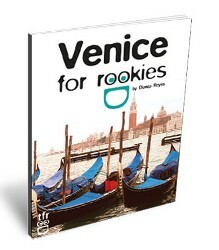 If you need to book a hotel in Venice, you will notice that the prices sky rocket much like they do for New Year’s. 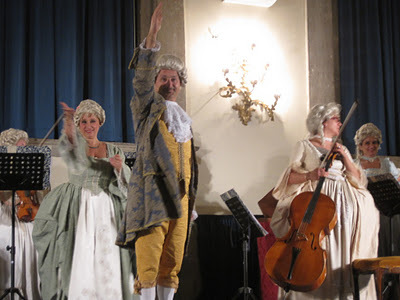 Since this is one of the most celebrated festivals in Venice, family and friends book hotels way in advance, but you might be able to find a bed or room in Venice this year still due to the economic crisis. 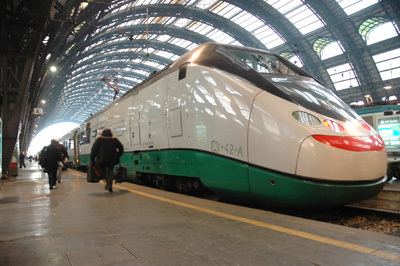 On Saturday July 19th, in the night, the following special trains will be arranged from Venice to the main towns in the Veneto such as Mestre, Treviso, Padova and Vicenza. ACTV will adjust local means of transportation, both on water and in the mainland. The People Mover, the funicular connecting the island of Tronchetto with the Maritime Station and Piazzale Roma, on Saturday night will work up to 3.00am (last departure at 2.50am), allowing till late night the return to the means of transport (cars, cruise ships, tourist buses parked to the Tronchetto).